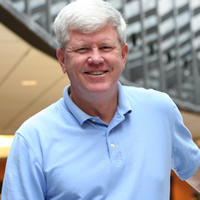 Carl P. Scott is in the MIS group of the Decision and Information Sciences Department at the C. T. Bauer College of Business at the University of Houston. After serving as an officer in the United States Marine Corps during the Vietnam conflict, he returned and used the GI Bill to earn his Ph.D. from Colorado State University. He is a veteran of the chemical process industries, working in various management positions in information systems, quality control, and enterprise resource planning. Dr. Scott joined the faculty of the Bauer College in 2001. As a consultant in information system design and management, Dr. Scott has worked with a wide variety of organizations in both the public and private sectors. Working with these organizations, he developed and implemented hardware and software solutions for a wide range of business problems. Dr. Scott is also an advisor to many Houston organizations on the strategic management of their information technology assets. Dr. Scott served on the Board of Directors for various organizations and recently served on the Board of Directors for the Houston Food Bank and Interfaith Ministries for Greater Houston. Dr. Scott represented the faculty of the Bauer College as an At-Large Faculty Senator. As a member of the senate, he served as the chair of the UH Faculty Senate Committee on Community and Government Relations.